Xiaomi announced in March that it would be opening Mi Stores for the US and European markets this year and now the date has been set – May 19. A Mi Store beta launch will go live at 1pm CEST, this Tuesday, in the UK, US, France and Germany. 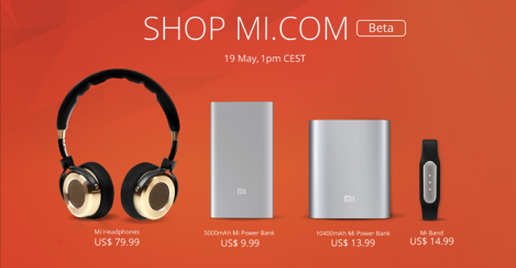 The store will sell limited quantities of Xiaomi’s Power Banks, headphones and fitness trackers. Xiaomi made the announcement in a Facebook post. The company also suggested that people should set up accounts ahead of the launch in order to avoid disappointment.